As if being a Parish Councillor isn’t trying enough, the past few years have brought a flurry of additional regulations that have tested the finances and resources of most smaller authorities. We’ve taken a look at the main areas that still prevent most Parish Councils from complying and took a look forward at what’s expected from Parish Council Websites in 2019. Parish councils have been obliged to comply with this code of practice since April 2015. NALC arranged funding for those Parish Councils that could identify a need for either IT equipment or a website. The code was introduced to bring about a more transparent system of information for parishioners. At it’s basic level, the code stated that members of the public should be able to access a Parish Council website free of charge that contained the following information. Since 2014, we’ve worked with many Parish Councils as their website providers in order that they comply with the transparency code. With the help of many great clerks we’ve honed our system to be what we now believe to be the easiest to use website solution for Parish Councils. 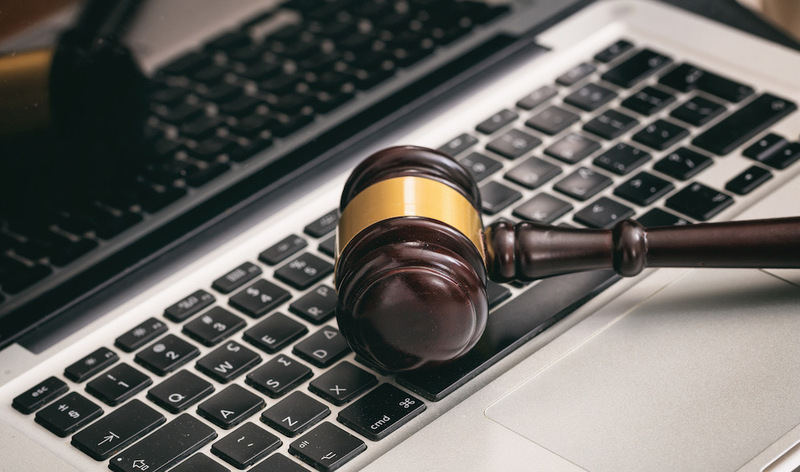 Whilst some Parish Councils did in some sense comply with the transparency code, the worst was not over as the new data protection regulations, otherwise known as GDPR were introduced in May 2018. We published a GDPR guide for Parish Councils in May 2018 in order to guide clerks around yet more regulations, the finer details of which were considered to have many grey areas. A person can request to see all the details that you hold on them both in human and machine readable format. You need to provide people with a way of withdrawing that consent at any time. With the advent of GDPR we upgraded our packages to include an SSL certificate as standard. This ensures that visitors to your Parish Council website will see a padlock and the word SECURE in the address bar. This ensures that any data that passes between the visitor and your website is encrypted and secure. Most search engines penalise those websites that aren’t displaying a current SSL certificate and HTTPS. It’s astounding that the number of Parish websites out there aren’t complying with GDPR so many months down the line. It’s understandable that Parish councils meet infrequently and therefore any changes are implemented at a slower rate than one would expect in the private sector. Never the less, the fact remains that these regulations are a statutory requirement and therefore any Chairman worth his or her salt should now be pushing members to comply as soon as possible. 2019 brings with it even more regulatory changes, this time in the form of accessibility, namely the international WCAG 2.1 AA accessibility standard which came into effect in September 2018. One in five people in the UK have a disability, it’s that statistic alone that illustrates the importance of ensuring that public authority websites provide access for those with a disability. Although this may sound daunting, the solution is relatively simple. Our websites already provide the basis of compliance in so far as they are responsive and display well on any device. A recent study shows that 40% of local authority websites failed basic accessibility tests. A compliant website will allow someone with impaired vision to use a text reader that reads the content aloud. This means that any links that you have will be descriptive, instead of saying something like “click here” also, images need to have a description in the alt tag that will allow text readers to inform the user of what the image depicts. So, for instance, if you have published an image of the village green, the alt tag would say “image of village green in summer”. A common failure that we see on some Parish Council websites, particularly the older ones, is images of newsletters. Text readers can’t read text on an image and so the content is inaccessible. The standard requires any text in an image such as this to also include a text transcript. Other considerations include ensuring that the colour choice and contrast allows the text to be easily read. For example, yellow text on a purple background is difficult to read whereas black text on a white background is much easier. You must also publish an accessibility statement. You can of course file for exemption by claiming that compliance would be a disproportionate burden. If you wish to go down this route you’d need to carry out an assessment. It’s highly unlikely that such a claim would be accepted as most modern website systems are designed to make compliance simple enough. This list isn’t exhaustive by any means, the good news is however that with a modern website, you can easily become compliant with all these standards and codes and also future proof your Parish Council against future regulations. We don’t build websites for any other sector except Parish Councils (and the occasional Town Council) As a result we’ve designed what we believe to the best website solution for a Parish Council. Our system allows a Parish Clerk to quickly and easily upload agendas, minutes, and financial reports, Create news articles, update member details and much more. We take the headache of compliance away from you and keep your website running trouble free for you 365 days per year. What’s more, we’ve created help videos and have a 24 hour support system for those moments when you need help.